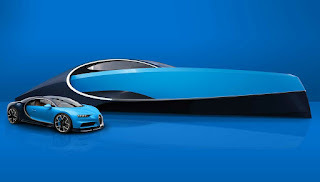 Meet The Chiron of The Seas - Bugatti-Palmer Johnson Niniette 66. Boat maker Palmer Johnson with Bugatti creates a soul mate at sea for the 1,479bhp Bugatti Chiron. Will they ever meet??? Who knows!!! 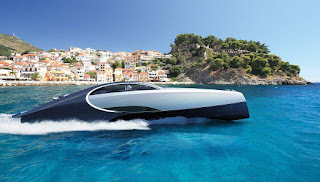 The new super yacht takes on Chiron's looks and is said to be worth £1.9 million, that's about 747mil+ Nigerian naira. The Chiron of The Seas is pretty on the inside too. 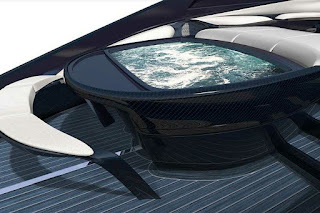 Sleekly balanced with carbon fibre, leather seats, and the Jacuzzi in the lower deck with a sun lounging pad and drinks bar is the centre of attention. You would also like to know that The Niniette 66 comes with a lounge which features furniture and fittings made from carbon-fibre, leather and marble. Tired or sleepy??? A master bedroom with a double bed is set for your perusal. 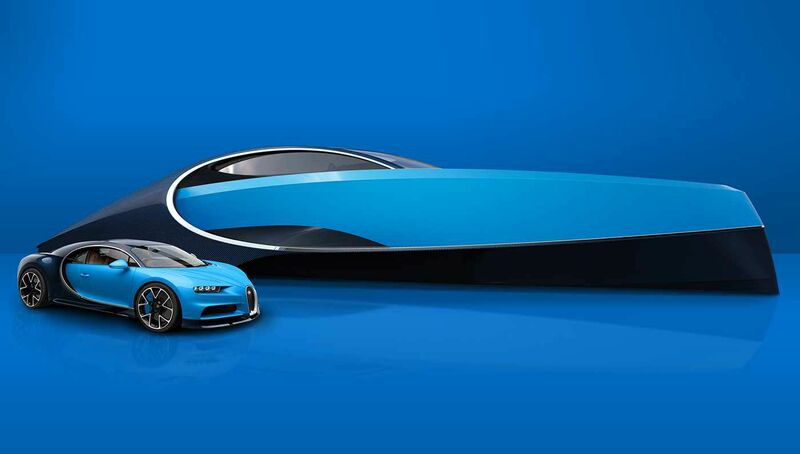 Bugatti says Buyers will be offered plenty of customisation options when it comes to the yacht’s interior,though an exact price for the Niniette 66 has yet to be revealed. They say boys never actually grow up, their toys just get bigger and expensive. 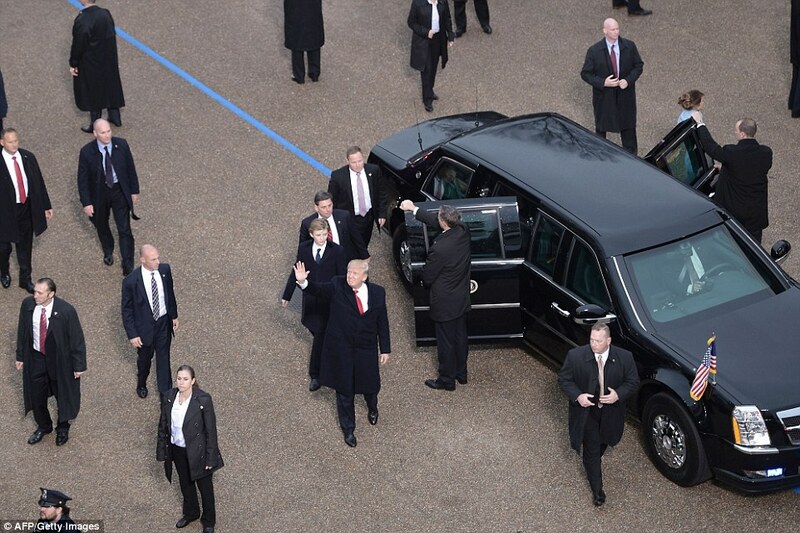 President Donald Trump is set to receive a new toy which is an upgraded version of the presidential limo that has been dubbed 'The Beast’. 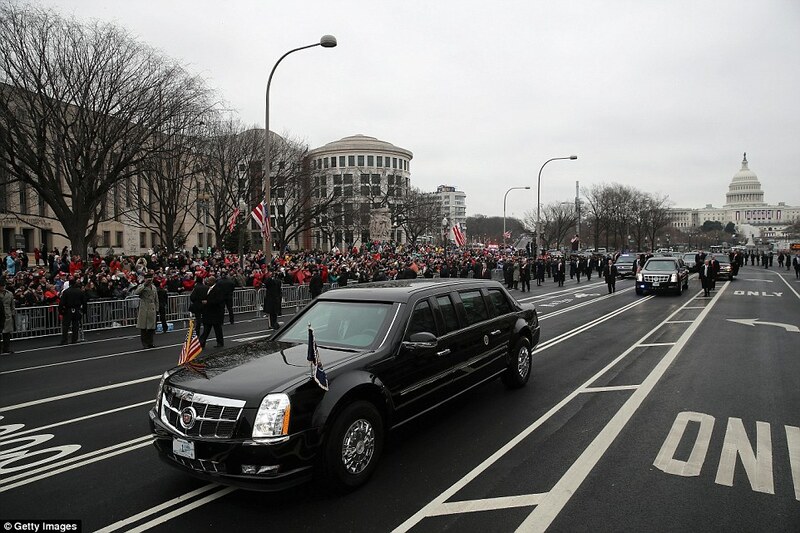 The car code-named ‘Cadillac One’, is in its final testing stage before it’s delivered to the white house. 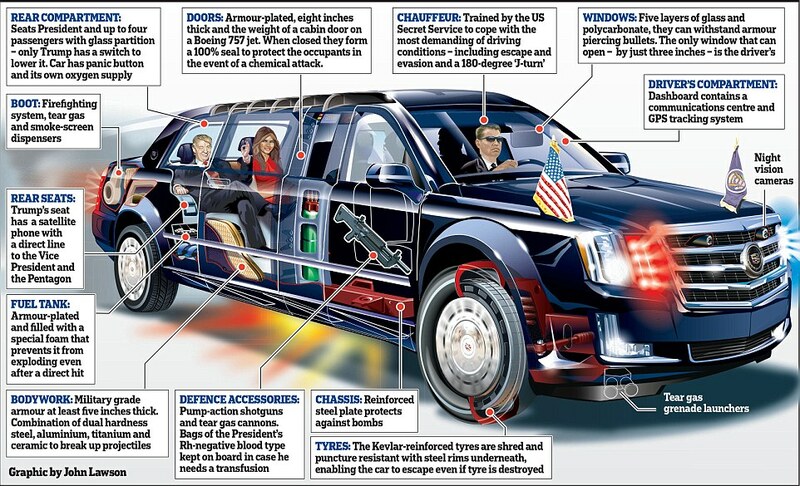 The Cadillac One falls under the Secret Service’s classified motor pool therefore much cannot be said about it - such as the manufacture processes of its stealth features, but a few specs have been leaked. The car which is worth £1.2 million and is one of the 12 fleet which are placed at strategic locations on the globe ahead of presidential visit said to be the length of two SUVs put together, that’s roughly about 18 feet. The cars with cost placed around £15 million is arguably the most secure automobile in the world. The Cadillac One weighs eight tonnes (6,800 – 9000kg). Attached to the beast is an eight-inch (20.32cm) thick steel doors which when closed is 100% sealed to withstand biological and chemical attacks. The five-inch military grade front windscreen is built to withstand armor piercing rounds. The windows on the sides can’t be opened except from the driver’s side which opens no more than three inches only when he needs to pay a toll. Fitted in front of The Beast are night vision cameras and tear gas grenade launchers. 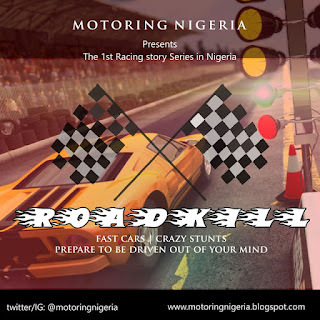 The Kevlar reinforced tyre have steel rims underneath which allows the car to keep running even if the tyre is punctured. The undercarriage is steel plated and can withstand going over a roadside bomb. The fuel tank is armor plated and filled with a classified type of foam which makes it explosive resistant. Popping the hood, you’ll find a diesel engine. The front compartment seats the chauffeur, who’s trained by the US secret service to cope and adapt with extremely challenging driving conditions. On the dashboard is fitted a GPS tracking system and communication center. 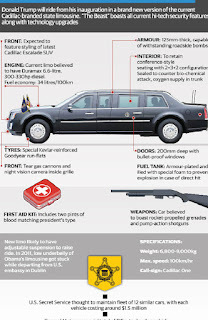 The rear compartment seats the President and up to four occupants. Also, fitted in the rear compartment is a panic button, glass partition and a satellite phone which only the President has control over. 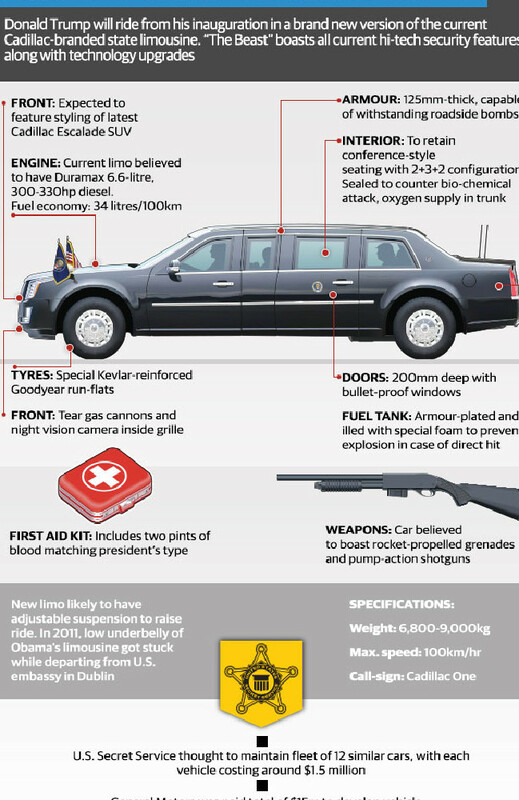 The trunk holds the President's Rh-negative blood type in case of an emergency transfusion, an oxygen system in case of a chemical attack, firefighting system, tear gas and smoke-screen dispensers. Among the other features are guns, tear gas cannons, hidden in the front grille of the vehicle in case an attack breaks out. 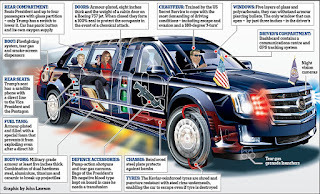 It will interest you that The Beast which has been given names such as Limousine One, First Car, Stagecoach is not the only hi-tech vehicle in the Presidential fleet. Riding along with The Beast is the President's own communications antenna - a mobile cellphone tower strapped to the top of a car in his motorcade close by is the President’s military aide carrying the 'Nuclear Football', which is a briefcase that contains protocols in case of a military attack. What are your thoughts on this new tech? Let us know in the comment section below.